A pack of 48 necklaces. 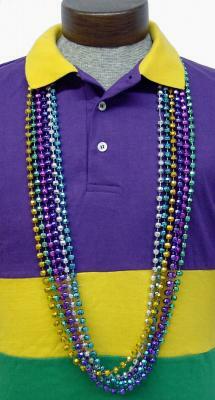 These are 8mm facetted beads on a 48" strand. Facetted beads, sometimes called "diamond cut" or simply "cut," sparkle much more than their round counterparts. Colors included: purple, green, gold, silver, pink, and blue. Buy a case of 480 for only $62.50!